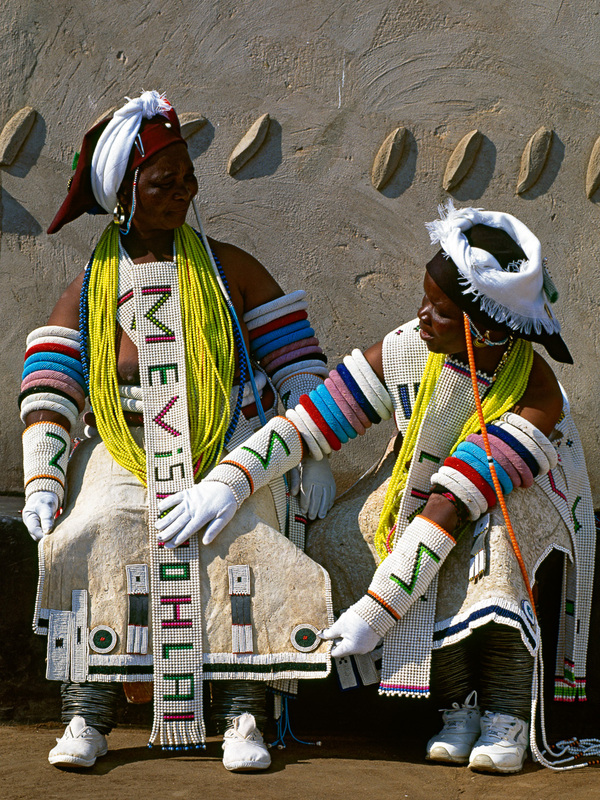 The Pedi people, neighbors and relatives of the Ndebele, are renowned for their beadwork and have inspired the designs of the Ndebele women. The Pedi maintain a strong matrilineal tradition, and certain distinguished women, known as Pedi Queens, act as figureheads for their communities. At ceremonial times they adorn themselves with an array of intricately beaded regalia.